Happy New Year everyone, I am over the moon to announce my top book pick of 2018. It was a tough fight for the number one spot and then I read the winning book and it was an easy choice. 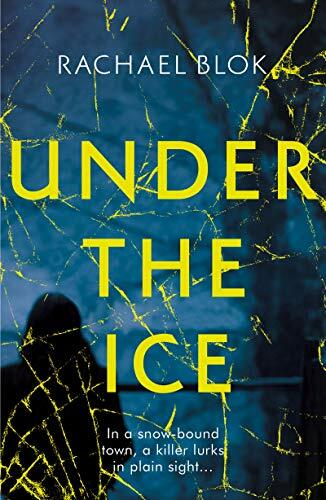 The 2018 winner is Rachael Blok with Under the Ice. This atmospheric psychological crime fiction thriller will have you gripped. It was unpredictable and the writing by Rachael Blok is superb. I read it in one sitting and it had me up till the wee hours. But it was worth it, I felt shaken and raw from my bookish journey. A writer that makes you into a detective but it’s so cleverly written you will have no clue what is happening. This book can be read at any time of the year not just at Christmas. Happy New year to you! What a great pick for the new year! Happy New Year! Adding this to my TBR, I love psychological thrillers.